As per NYC Local Law 52 of 2005, this course is required for workers installing, removing or modifying supported scaffolds over 40 feet on Construction Sites in New York City. 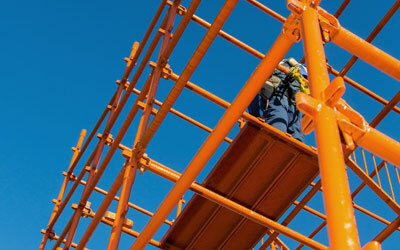 Experienced workers who will erect, dismantle modify or repair supported scaffolds over 40 feet, safety managers, construction superintendents and individuals who just want to learn more about supported scaffold safety. Instructors will demonstrate safe methods of installation, removal and modification of different types of supported scaffolds using OSHA regulations, DOB standards and good work practice as a guide. Some topics covered during the course will include major scaffold components, importance of proper pre-planning, worker training, and how to read scaffold design drawings. Throughout the course, students will also participate in hands on exercises in which they will build and dismantle supported scaffolds, apply various knots on the rope and demonstrate ability to apply basic rigging techniques. Students are required to complete 100% of the course and actively participate in all learning activities including hands-on exercises and the final course exam. Students must pass the hands-on and written assessment with a score of 70% or higher to receive a 32 Hour Supported Scaffold Installer/Remover course completion picture ID card. This card is valid for 4 years. Students who do not pass the written or practical exam will have one opportunity to retake the entire 32-hour course and retake the exam at reduced fee of $200. Students must contact TSCTA to schedule and pay for the retake class within 6 months following the original class date.